It’s no secret, I’m an overall good saver. In the past I haven’t been a fan of coupon clipping and that definitely has not changed. With the advances in technology, saving while shopping has been made a whole lot simpler. 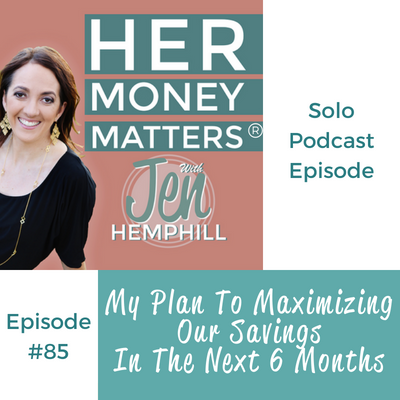 I’ve decided to commit the next 6 months to building a new habit with these tools and maximize our savings. I share all of this in this episode! Have you used any of the apps mentioned? If so, what are your best tips? Please be sure to share in the comments below or head on over to our community to do so by clicking here. I love this podcast. I now have these 8 apps on my phone but have to figure out what each one is for again. I want to use them and not get overwhelmed. So glad to hear that Theresa! Good pointing out, it would have been helpful to have quick bullet points in the shownotes in regards to the apps and what they are for. I will see about revising this. Thanks again!